Mailbox is joining the Material Design club, dropping in a few visual flourishes and extra utilities to an already clean-looking email app. The update adds in a floating action button for launching a new email and a revamped slide-out menu that now overtakes the action bar. The overall interface was pretty minimalist to begin with, but now it’s even more so with additional white space. There are some new features, as well. Signatures can now be displayed while you compose your message and you can edit HTML in a message before replying or forwarding. 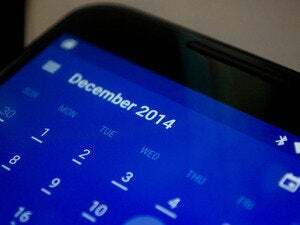 Additionally, Google Calendar invites are displayed in a more mobile-friendly format. Much of the functionality remains unchanged, including Mailbox’s signature capabilities to snooze emails or swipe them away for fast archival. Those capabilities were quickly picked up by other email apps, most prominently in Google’s Inbox for Gmail. The update for Mailbox is rolling out now in the Play Store. The story behind the story: Google introduced Material Design nearly a year ago, and it’s taken some time for developers to fully implement the guidelines into their Android apps. The momentum is turning, however, as we are seeing more frequent redesigns in popular apps, like MLB At Bat. With Google I/O around the corner perhaps more developers will get the nudge to push things along. 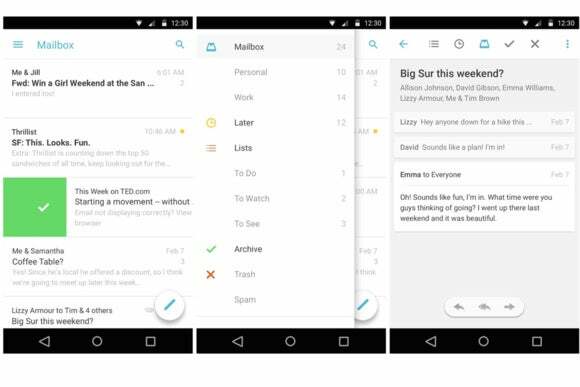 This story, "Mailbox for Android finally gets a Material Design makeover" was originally published by Greenbot.